It’s volunteers week (1-7 June) and we want to say publicly how enormously grateful we are for all that YOU, our volunteers, do in our parishes and schools. 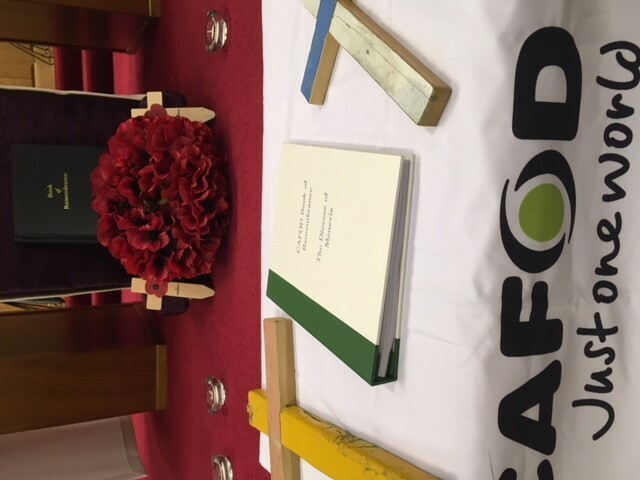 Without your prayers, support and commitment to CAFOD we could never achieve as much as we do. You are invaluable! THANK YOU! One of our wonderful volunteers is Sarah O’Kane who lives in Swansea. Sarah is an invaluable part of our Education volunteer team covering the Menevia diocese. She is also a parish volunteer at Our Lady, Star of the Sea in Mumbles. “I’m motivated by trying to act as Jesus would towards others. 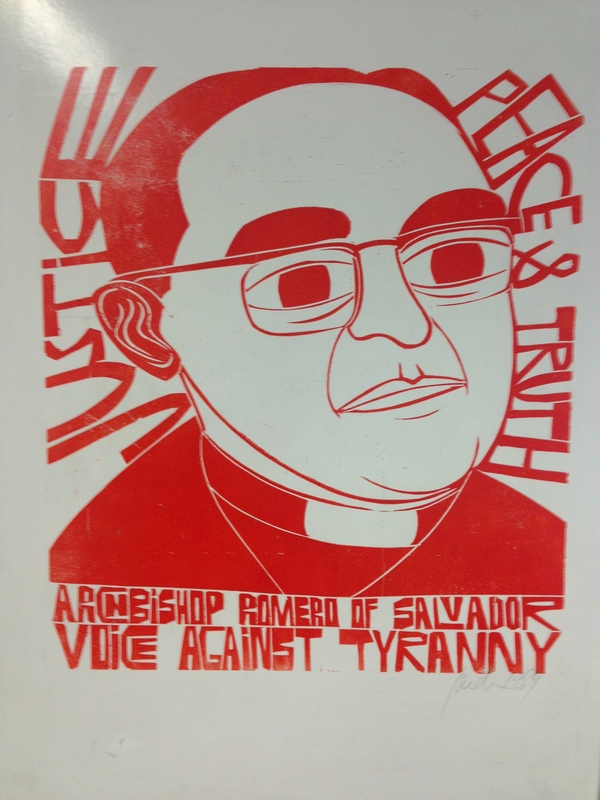 I like fundraising for CAFOD because as an Agency it helps to make the world a fairer place. I feel a sense of solidarity with those combatting enormous difficulties. CAFOD helps people to help themselves e.g. setting up a struggling farmer with enough fish and tools to build a pond and start a fish farm. 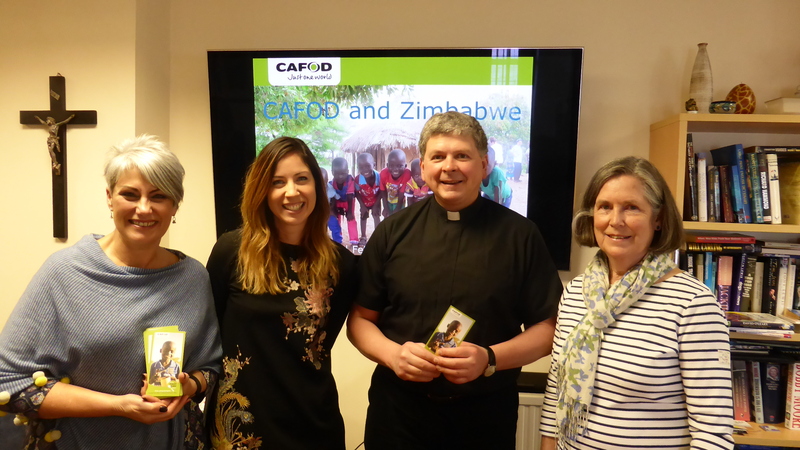 I like the fact that CAFOD projects are sustainable because of the way they work with local partners who have the knowledge needed in setting up and maintaining a new venture. 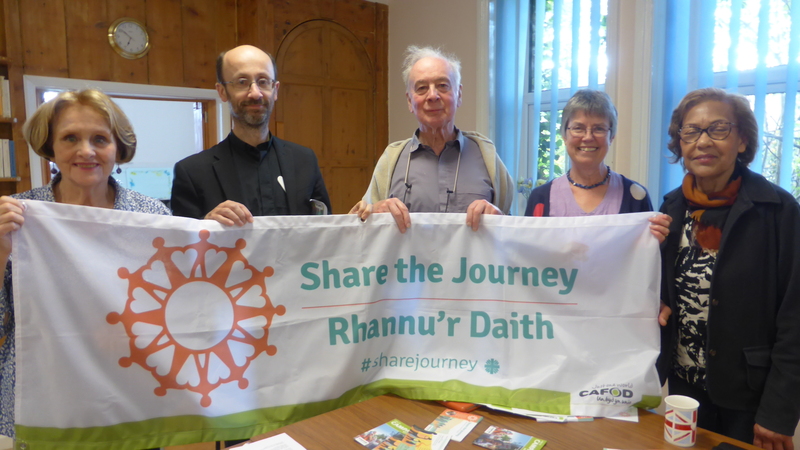 The Herefordshire deanery of parishes attended a presentation on Share the Journey, followed by Mass at Our Lady, Queen of Martyrs in Hereford on Tuesday, 8 May. Our thanks to the Dean, Fr Matthew Carney for his kind hospitality and welcome. 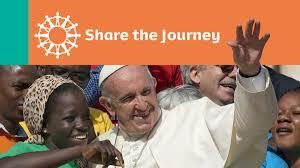 Share the Journey is a global campaign launched by Pope Francis in Autumn 2017. 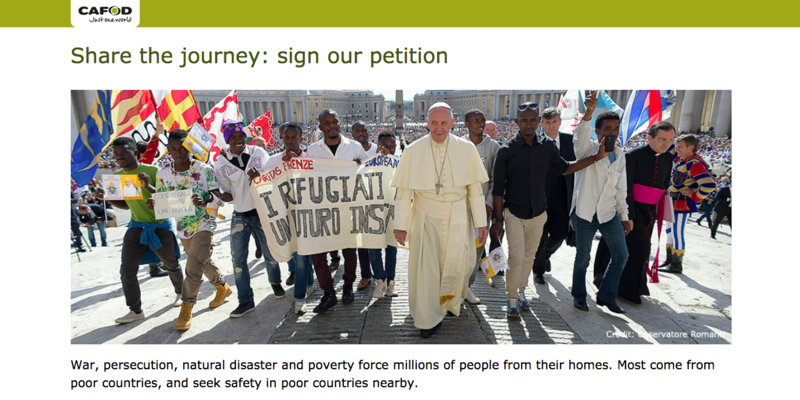 The Holy Father is hoping that each and every one of us will step up and show our support for refugees and migrants. 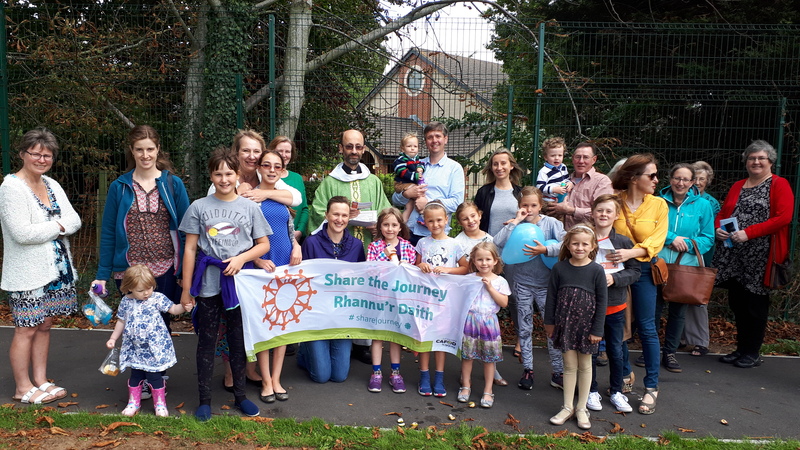 The meeting was called to give more background to the campaign and what it is calling for and to ask our supporters and their fellow parishioners to get together to organise a walk in their individual parish – to show solidarity with our neighbours who are fleeing their homes. Every step we each take, together in our parishes, with our fellow townspeople, with other faith groups, will send a message to world leaders that we want them to step up too. The aim is to walk 24,900 miles around the world – it isn’t as difficult as you might imagine… you don’t have to attempt the strenuous Pen y Fan and Corn Du circular walk or the Black Hill (Crib y Garth) in the Black Mountains in Herefordshire… you can just walk inside your church, around the pews, slowly, in pairs – holding the CAFOD action card in your hand, to guide your conversation. The action cards include a story, prayers and questions for reflection; a message to send to the Prime Minister, Theresa May, calling for global agreements which put the human dignity of people on the move at their heart. 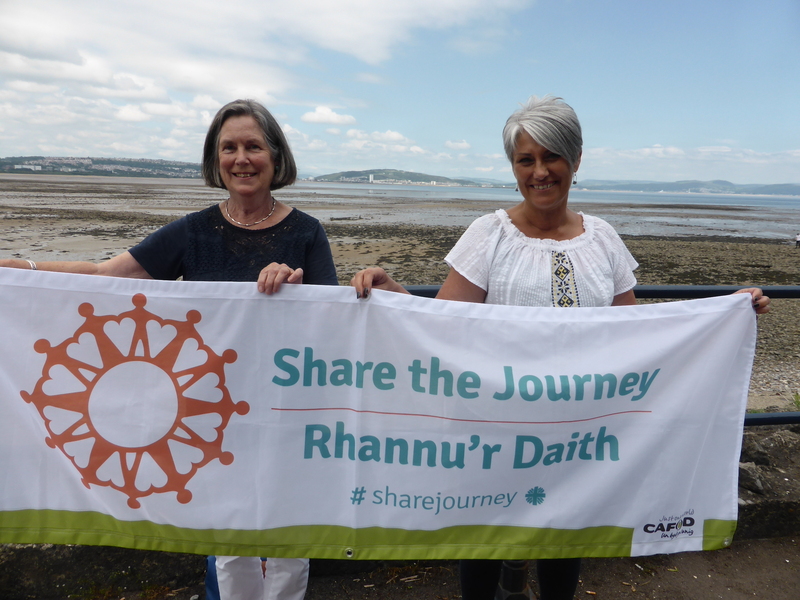 You can download a Share the Journey Organiser’s guide and if you order any of the petition cards, you will be sent a copy of the organiser’s guide automatically. 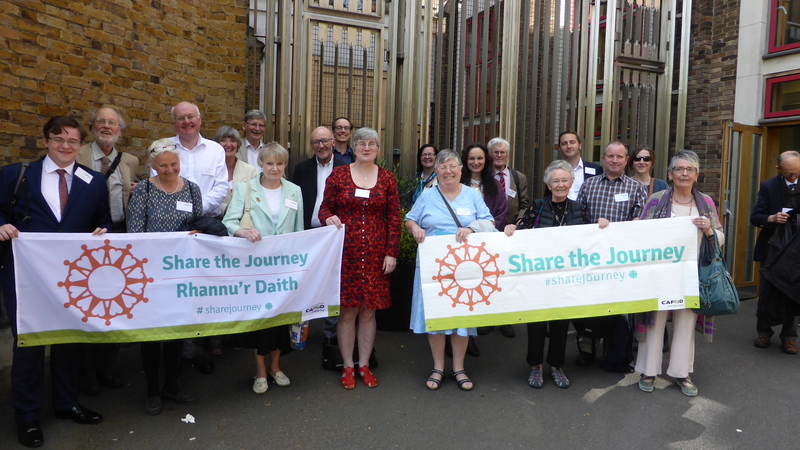 There is an informative Share the Journey factsheet with all the information you need at your fingertips to get started and which you can share with your fellow parishioners. There is a short talk available, if you are able to say a few words after Mass about the campaign and a generic poster which you can also use to spread the message to as wide an audience as possible. If you are thinking of inviting your MP, then why not take a look at this template for ideas which you can then personalise. If you would like us to come along to your parish to give a short presentation on the campaign, we would be delighted to support you. Lastly, if your parish is getting involved – please, please let us know when and where! We are here to help publicise your good work and we want to do that as effectively as possible. You might like to think about holding a walk or card signing during Refugee Week which is from 16-24 June. Some frequently asked questions can be found here. Here is the link to our Facebook page and please follow us on Twitter too. There is a Share the Journey online petition here which you can sign. Please encourage others to do the same. Thank you. Here’s the Health and Safety guide for your walk. If you can’t get together with others to organise a walk, please can we encourage you to organise a petition card signing event after Mass. Don’t forget to send us any photos you take, and if you have enough time, a few details about what motivated you to get involved and raise your voice in solidarity? 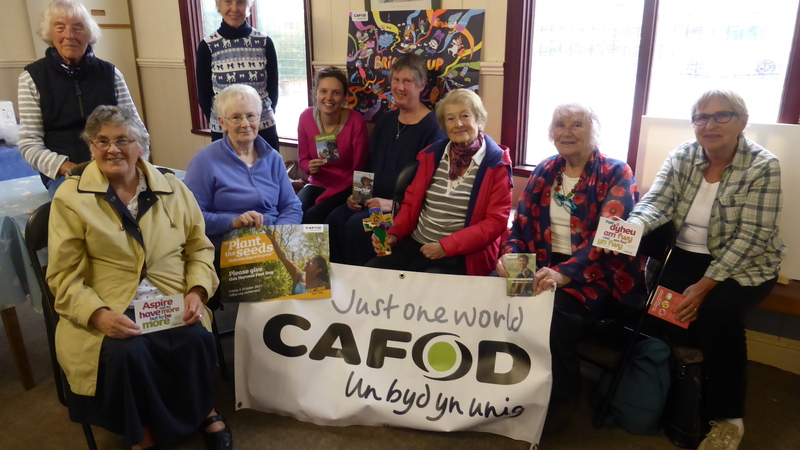 Jenny Worthington is a volunteer from the parish of Our Lady, Star of the Sea in Porthcawl and has been a CAFOD supporter for over 20 years. 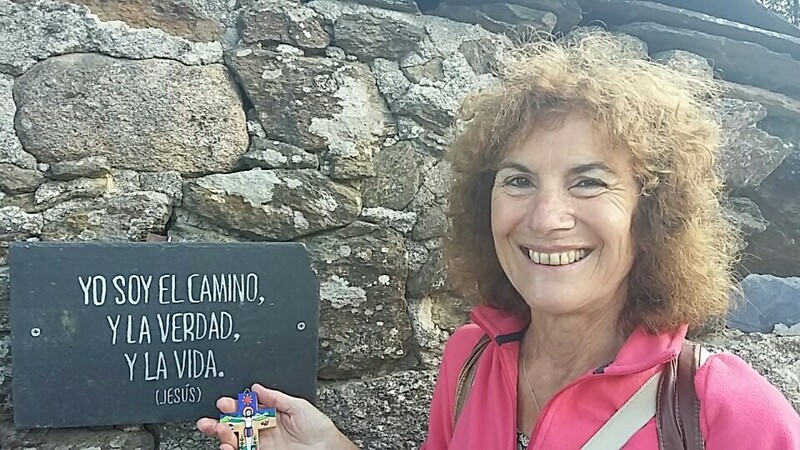 Last month, Jenny set out on her Camino Walk for CAFOD. She travelled 118 km over 7 days. What an amazing feat! 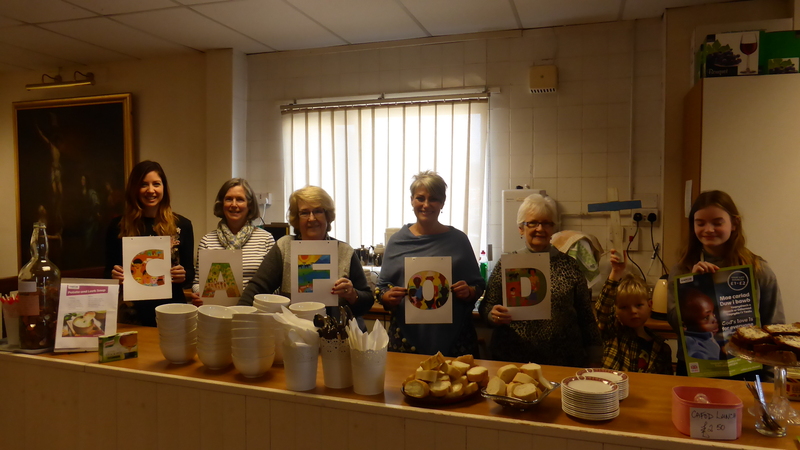 She is raising money for one of CAFOD’s life-changing World Gifts – a health clinic.